NOTHING CAN RUIN AN ENJOYABLE CRUISE FASTER THAN THE SURPRISE ILLUMINATION OF DASH WARNING LIGHTS. Aside from running low on fuel or air pressure in the tires triggering an alert, there may or may not be much to worry about. Usually, when the check engine light pops up out of nowhere, the natural next symbol that comes to mind is “$”. But before you start sweating and stressing out, just take a deep breath, and remember—these trouble lights are meant to give you the soonest heads up of an issue that could have a simple, inexpensive solution IF addressed in a timely manner and not left to worsen over time. Let that last point sink in, and let’s keep rollin’. “Out of sight, out of mind” is an all-too-familiar “fix” for dash lights. With the ability to plug in a code scanner and “clear” trouble lights, a lot of truck owners think that turning a light off cures whatever is going wrong underneath the hood or anywhere else that could pose a problem from bumper to bumper. Code scanners are extremely helpful—don’t get us wrong. 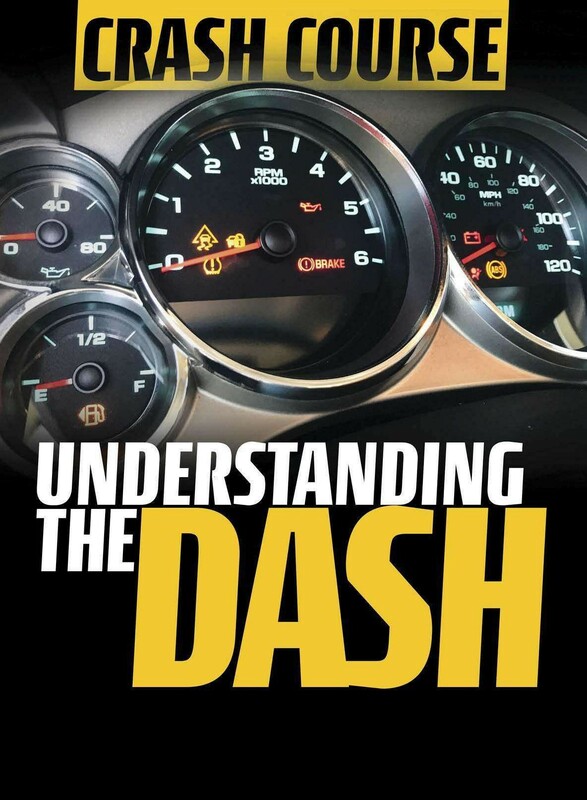 They are great for helping pinpoint the exact code or problem that makes the dash light pop up, but they should be used as diagnostic tools and not as an off. switch. Instead of sweeping the problem under the rug, understand why the lights on your later model Chevy and Ford truck’s dash are illuminating and what the heck the lights even mean. If you haven’t taken a good look at your gauges and examined all of the symbols, they can be a bit confusing and read like some weird alien language; it must be tough to create a single symbol that represents a major system of your truck.